A lovely pattern that is a very unusual combination of colours that works really well. Please click on the image above to see an enlarged picture. 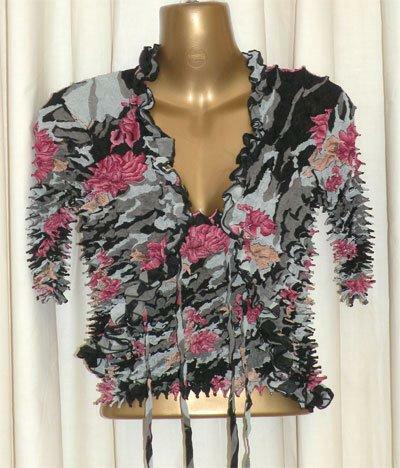 Please note that the picture shows the jacket being worn over a strappy top which is available separately.